Dr Daniel Shi is currently the Senior Director of Electronics Components (EC) Technology Division (TD) of ASTRI; he lead the EC division to develop its core competencies in three major aspects: multi-physics designs, manufacturing process recipes, materials formulation and synthesis, and high frequency and high power related applications, including consumer electronics, automotive electronics, and power electronics. Dr Shi has over 20 years of experience in microelectronics, optoelectronics and Micro-Electro-Mechanical Systems (MEMS) packaging. Before joining ASTRI in 2007, he had worked at the City University of Hong Kong, Singapore Gintic Institute of Manufacturing Technologies, Philips, and Intel in different research and management positions. Dr Shi has published more than 120 international journal and conference papers. He has 12 granted US patents. 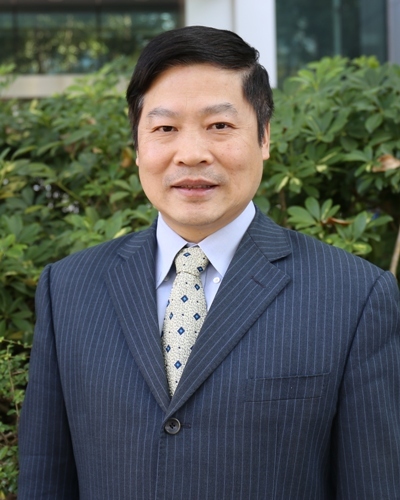 He is the technical chair of ICEPT-HDP2011 and serves as guest professor at the Peking University and Shanghai Jiaotong University in China.